The three-year pediatric residency training program at UT Southwestern Medical School offers residents many opportunities. 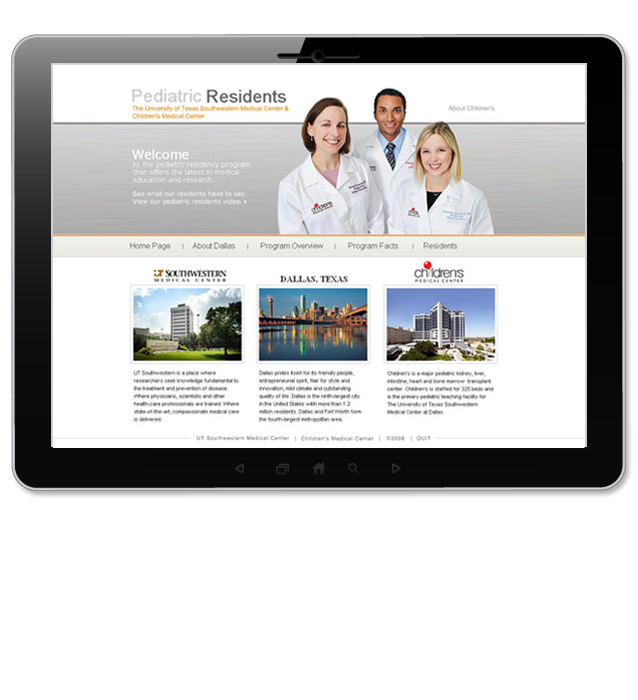 The Pediatric Residents Interactive Project was designed to showcase these opportunities on a DVD. Later the DVD material was edited to be viewed online. Photography by Louis Curtis; video on Dallas courtesy of the Dallas Convention & Visitors Bureau; DVD and web design and development by Janet Davis.